GOOGL stock is ripe for the picking. Traders take note. Large-cap technology stocks as represented by the PowerShares QQQ Trust (ETF) (NASDAQ:QQQ) have been en vogue again over the past month and a half, and as a result by early June it broke to fresh all-time highs. 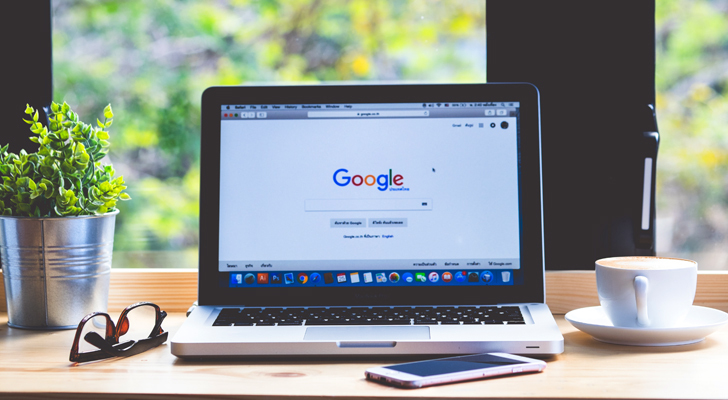 Shares of Alphabet Inc (NASDAQ:GOOG, NASDAQ:GOOGL), however, have been relatively lagging this rally and could now be primed for a catch-up trade. Today we look at a well-defined trading setup in GOOGL stock. As I often discuss in this here column, looking at stocks in both absolute as well as relative terms (i.e. versus their respective sectors/groups) opens up a whole new dimension and depth to analysis. With that in mind, on the first chart I plotted, i.e. divided GOOGL stock by the QQQ ETF to show us what Google’s relative performance versus other large cap technology stocks looks like. Here we see that since early February, GOOGL stock has shown notable relative weakness. In my eye and as we will see on the next two charts, this could allow the stock to play some catch-up in coming weeks. From the multiyear angle, we see that GOOGL stock into the second half of January ascended too quickly, which from this angle stopped right at the very upper end of the longer-standing up-trend. Since then, the stock has been stuck in a much-needed consolidation phase. Note also that the low end of this consolidation phase lined up perfectly with the lower end of the multiyear up-trend, which also coincided with the yellow 50-week simple moving average. As such, the longer-term up-trends have remained intact all along. This multimonth consolidation phase is also taking the shape of a real big flag pattern that could soon resolve to the upside. On the daily chart, we see that GOOGL stock gapped higher on June 1 and past diagonal resistance. Over the past few days, the stock has once again settled into a tight consolidation phase that now, however, looks increasingly giddy for a next rally. The next upside price target becomes the January highs around the $1,200 mark while any notable bearish reversal on a daily closing basis would be a stop loss signal from a swing trading perspective. Breakaway gaps such as the one on the GOOGL chart from June 1st very often offer high probability trading setups for both income as well as capital gains generation. This Friday I am holding a special webinar for InvestorPlace readers to teach this exact strategy. Register here. Article printed from InvestorPlace Media, https://investorplace.com/2018/06/trade-of-the-day-alphabet-inc-stock-is-playing-catch-up/.